New York may be next to legalize! 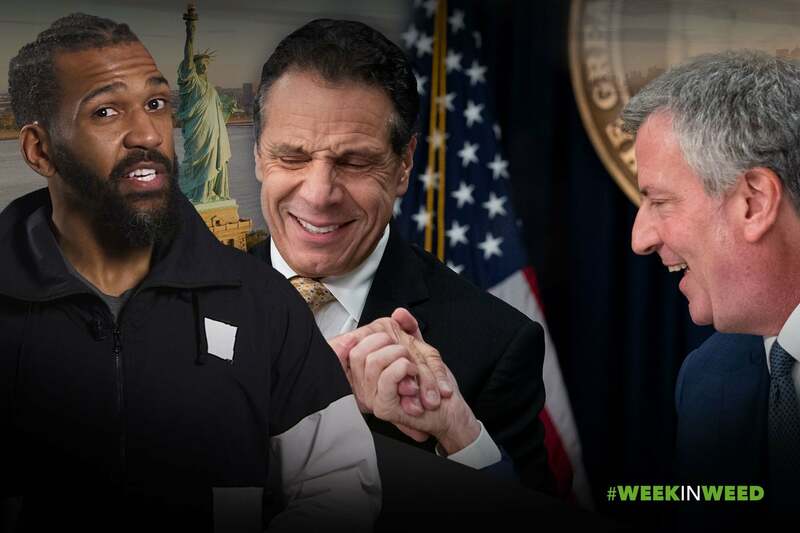 In a speech outlining his 2019 agenda, New York governor, Andrew Cuomo endorsed recreational cannabis legalization for the empire state. In a rare instance where these two agree, New York City mayor, Bill De Blasio cosigned the endorsement calling it a "once-in-a-generation opportunity to get a historic issue right". Is your grandmother still smoking weed for her "Glaucoma"? Might want to tell Gramz to chill. Researchers at Indiana University published a study in the Journal of Investigative Ophthalmology & Visual Science showing that CBD actually increases pressure in the eye and could do more destruction than good.